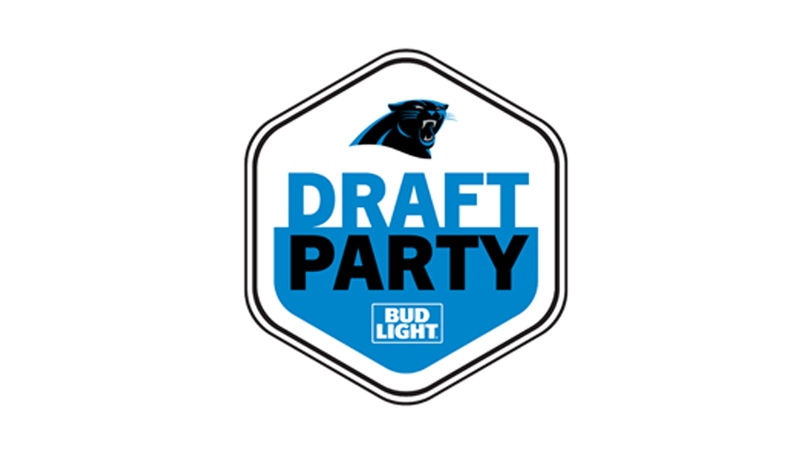 Admission to the 2019 Draft Party is free and open to the public, but fans must reserve their mobile-only tickets online at Panthers.com or through Ticketmaster. Ticket reservations will be available beginning Friday, April 5 at 10 a.m. (EST). Fans are able to reserve a maximum of eight (8) tickets per account. Gates open for the Draft Party on April 25 at 7 p.m. Fans in attendance can visit the Panthers game field, tour the Panthers locker room and entry tunnel, and get autographs from Panthers Legends. The first 2,000 fans in attendance will receive a Panthers Draft Party pint-sized LED glow cup. On-field activities include tailgate games like football toss and corn hole, a photo booth, and more. Stadium concessions and beverages will be available to purchase. On-field stage programming begins at 7:30 p.m., and coverage of the NFL Draft’s first round, shown on the PantherVision stadium video boards, begins at 8 p.m. Carolina holds the No. 16 pick in the draft this year. Fans will need to utilize mobile ticketing in order to enter the event. Mobile ticketing can be accessed through the Panthers mobile app, through Ticketmaster.com or the Ticketmaster mobile app. More information about mobile ticketing is available at Panthers.com.